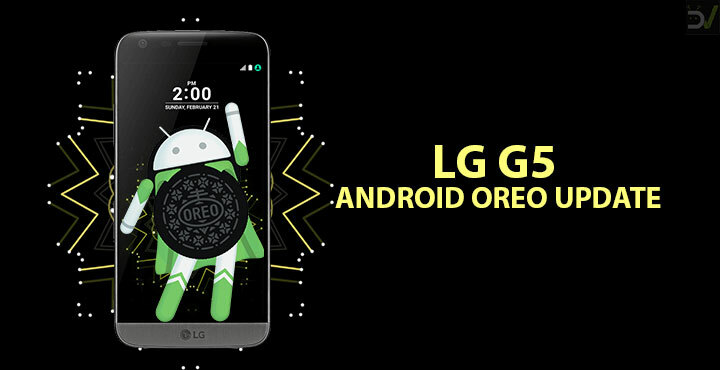 The Android Oreo update has been rolling out for the LG G5 for some time now. 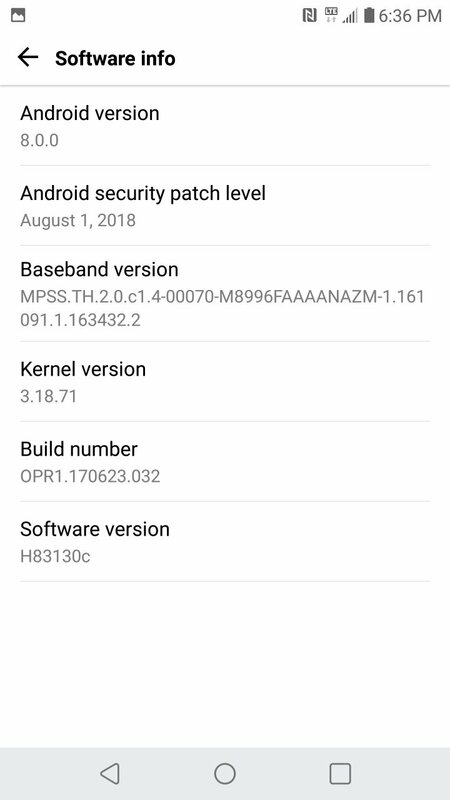 If you haven’t received the OTA update yet, you can download and install the Android 8.0 Oreo firmware on LG G5 (H830, H850) manually using LG Flash Tool. The LG G5 is perhaps one product the Korean company would certainly want to forget. It was their most ambitious smartphone ever. With a modular design, LG hoped to stand out of the crowd and maybe start the whole modular smartphone revolution. Obviously, that didn’t happen and thanks to a poor implementation as well as some problems, the LG G5 tanked pretty bad. In comparison, Samsung’s S6-like Galaxy S7 soared in terms of sales. This is why you won’t hear me complain about LG releasing the Android Oreo update for the G5 now when Android Pie has been out for months. At the time, LG used to say they’re fully committed to the modular design. The company was holding meetups with developers and providing early access to LG G5 units and developer kits for its modules. However, after promising to support the device with modules for several years, the company abandoned it even before the launch of the LG G6. So it’s good to see they haven’t abandoned it when it comes to updates. Better late than never, they say. 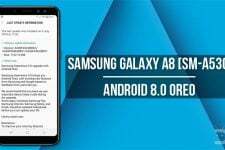 The Android Oreo update brings with it the usual Android Oreo features and the March security patch. 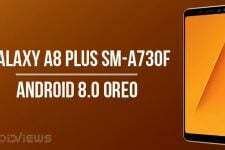 The updated firmware is based on Android 8.0 Oreo not Android 8.1 though and that’s probably something we can complain about. Not that it would matter. A big brand, a huge company, updates their two-year-old flagship to a year old software, one year late, and then it is not even the latest version of the older software. Typical. 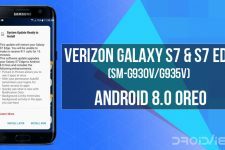 Here are some of the changes and features in Android 8.0 that so many have already been using and have probably even moved on. The firmware files listed below are only for the LG G5 H830 and H850 models. Do not try to flash them on any other devices unless you do want to brick them for some reason. The process might wipe all your data, potentially including the internal storage as well. Make sure you have a back up of all your data. We recommend that your phone should have at least 50% to 60% of battery left so as to prevent any accidental shut down in-between the process. DroidViews not responsible for any damage to your phone. Make sure you have the necessary LG USB drivers installed on your PC. You can download the latest LG UP Tool and UPPERCUT from our dedicated LG flash tool download page. Download LGUP from above and install it on your PC. Run LGUP tool by running the UPPERCUT_1.0.0.0.exe and then copy the folder common from the downloaded LGUP folder to C:\Program Files (x86)\LG Electronics\LGUP\model. Now you will need to boot your LG V30 into download mode. To do this first turn off your phone. Now press and hold the Volume Up button. Connect your phone to the PC with a USB cable while holding the Volume Up button. If everything is properly set up, LGUP will not warn you, if not, it will ask you to connect your phone. You should check the USB connection and the drivers if that happens. You should see Firmware Update written on top of your screen now as your phone boots into download mode. In the Process section, select the UPGRADE radio button. and then select the KDZ firmware file that you’ve downloaded. Make sure it’s the correct KDZ for your device. Click on the Start button when you’re ready and the flashing process should begin. It may take a while so be patient and do not unplug the phone during the process. It may restart a few times and say that Android is upgrading. After successful completion of the process, disconnect your phone and perform a factory reset. This is a recommended step, however, an optional one.